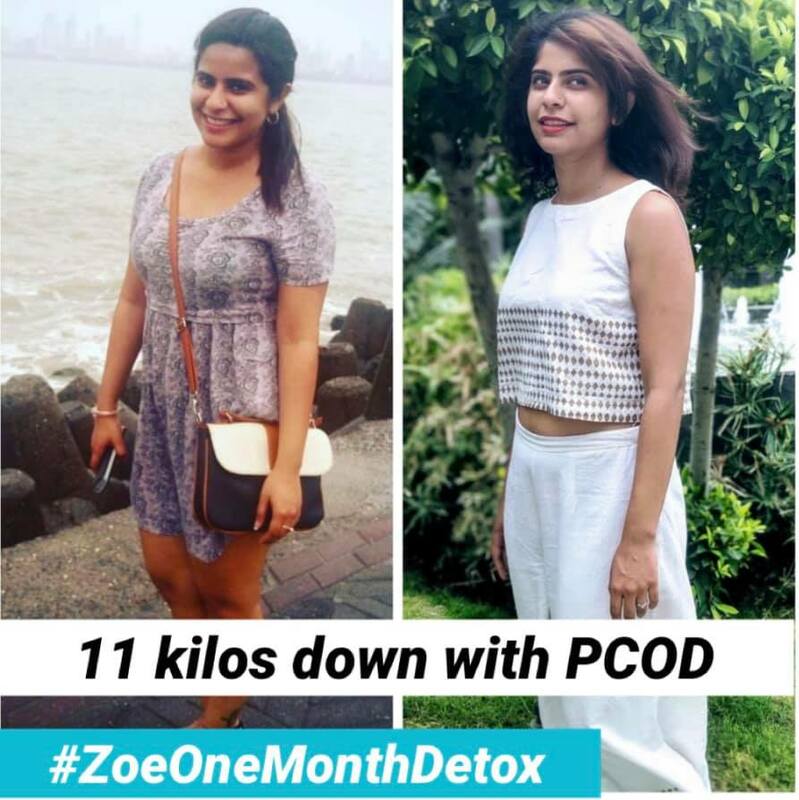 Suffering from Polycystic Ovary Syndrome , commonly known as PCOD or PCOS, Ankita found it tough to lose weight and attain a perfect figure. She had tried following a lot of diets, by consulting renowned nutritionists, but in vain. 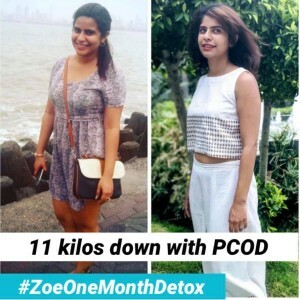 Then she came across Zoe’s One Month Detox, which changed her life completely. Now she is more confident of her weight loss regime. What did Ankita order ? Ankita went for our One Month Detox plan and followed the diet chart given by us religiously. Will you be able to do it ? Of course !! Losing weight does not mean that you need to burn a hole in your pocket trying to buy expensive gym memberships or expensive and imported foods from the market. Nor does it require you to starve yourself. It just requires a little bit of discipline, and commitment. Helps in losing weight. If you do the detox once a week for a month, you will see a reduction of 2 – 4 kgs, depending on your current weight, lifestyle, metabolism, gender and age. Completely reboots your digestive system, and problems of gas and bloating go away. According to research, fasting also helps to improve eye-sight in the long run. Just like Ankita was able to lose weight with the help of a little bit of dedication and commitment, you will also be able to do it. Call us on 9205534967 to know more or visit our website to place your order and begin your weight loss journey.